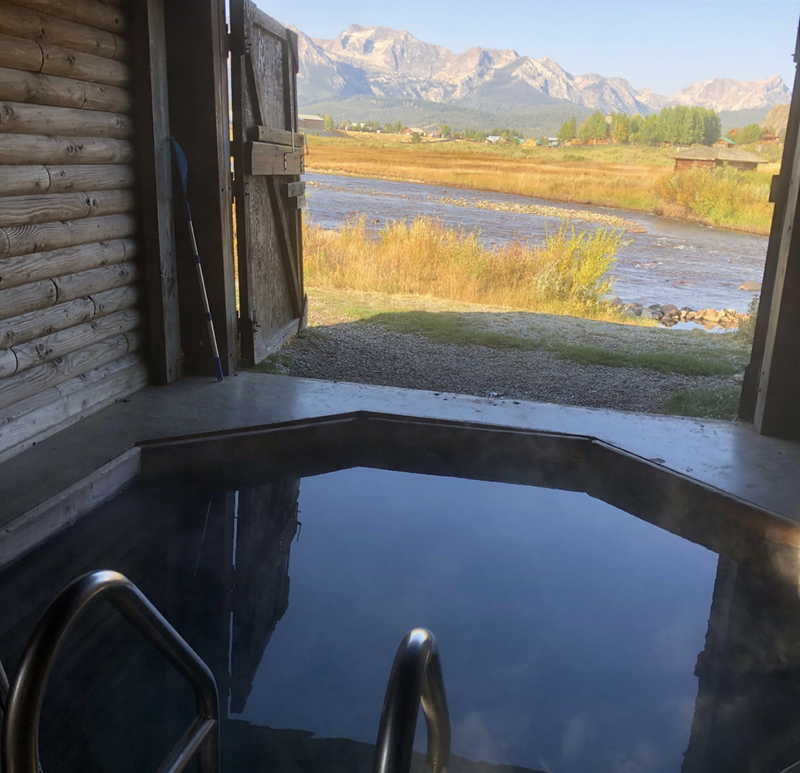 General Description: Mountain Village Resort is a beautiful Idaho hot springs vacation destination within the Sawtooth National Recreation Area. 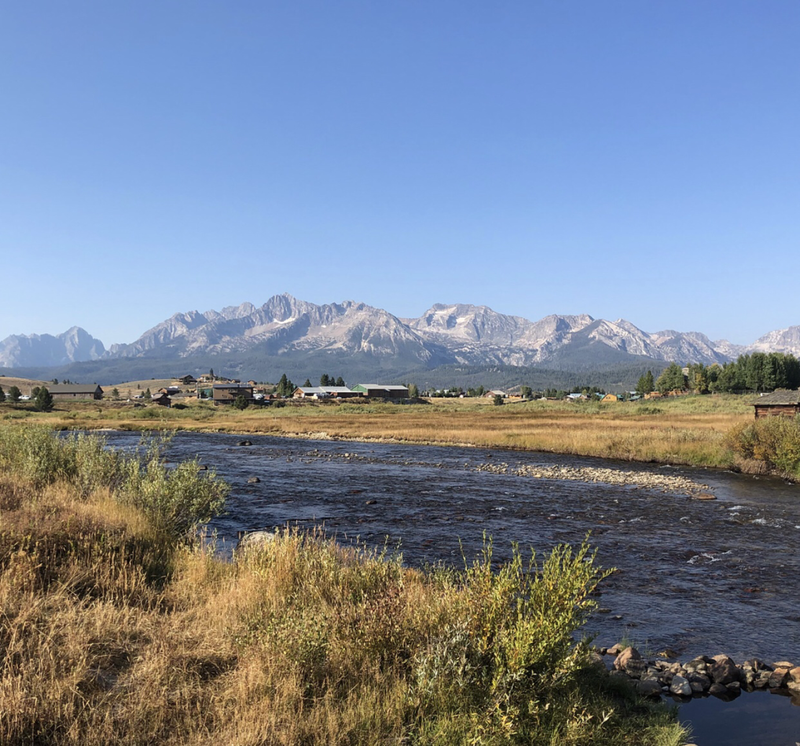 This resort boasts a hot springs tub is set on the banks of the majestic Salmon River with views of the Sawtooth Jagged Mountains. Accommodations and dining are available. Location: From Challis, Idaho is about 60 miles or about an hour to drive to the hot springs. Accessibility: Mountain Village Resort​ ​is very accessible. You can drive up to the property. The hot springs are a short and easy walk from the lodge. This hot springs is not handicap accessible. Hot Springs: ​Mountain Village Resort have been piped into a man-made tub that is large enough to seat several friendly individuals. The hot springs tub sits within a rustic small log building that is situated on the banks of Valley Creek. The temperature of the hot spring is 105 degrees. The hot springs is a short walk from the Lodge. 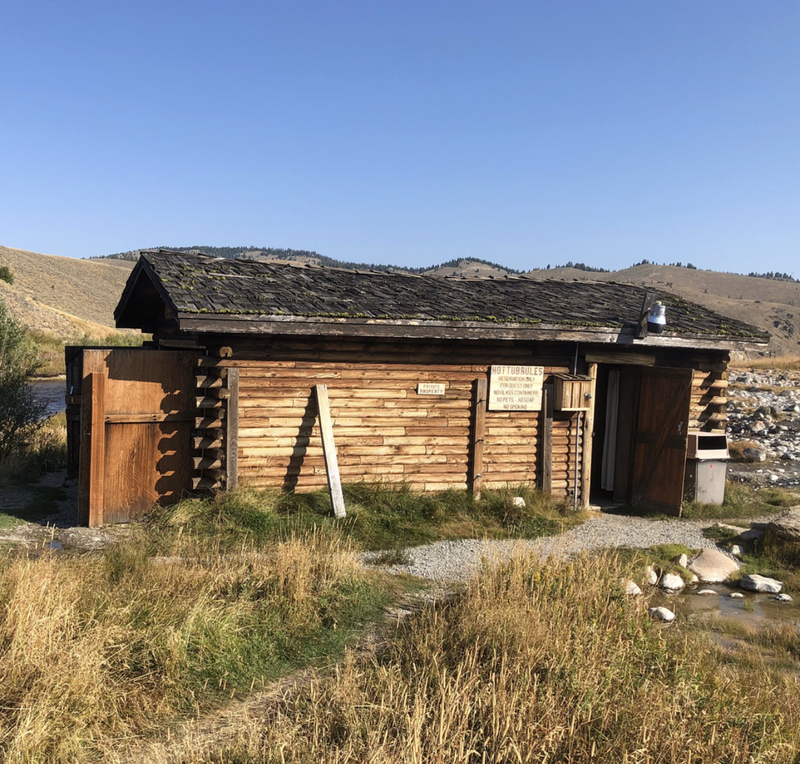 Inside the hot spring bathhouse you will find small changing rooms and a few spots to sit, as well as a large door which can be propped open to allow in the fresh mountain air and unparalleled views of the jagged teeth of the Sawtooth Mountains. The water is not treated. The hot springs is all natural pure water. You need to make reservations for the hot springs. 8 people per hour is the capacity. You rent by the hour. Clothing is required. Bring your bathing suit. Hot Spring Tips: ​Mountain Village Resort guests only can use the hot springs tub. The water is all natural. No chemicals are used. Clothing is required. Bring your bathing suit. The resort has accommodations in the lodge as well as Mountain Village RV Park with tent and RV camping. Mountain Village Resort has a excellent restaurant and a goof old fashion saloon. Check out their webcam on their website to see real time. The town offers an array of outdoor activities that include hiking, water rafting, fishing, biking and climbing for the whole family. This hot springs is pet friendly. Youtube Video on Mountain Village Resort is below.